Popping in today to share the potentially easiest DIY I've done in a long time! (Well, not as easy as cleaning your Alex and Ani bracelets by covering them in ketchup-my most popular post ever!) 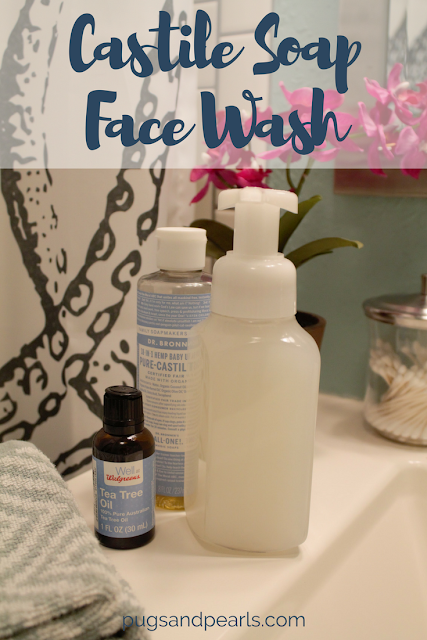 This one is a recipe for a DIY face wash using castile soap. It was incredibly easy for us to start using the same shampoos, conditioners and soap, but we had a hard time when it came to choosing a face wash. Stuff that seemed to work for me, didn't work for him. So when we ran out of the last face wash we tried, I decided I'd try a DIY. - 5-10 drops Tea Tree Essential Oil for oily skin OR 5-10 drops Geranium Essential Oil for normal/aging skin. Combine all ingredients in your foaming dispenser, fill the rest up with water and shake well before use! I use one pump, and Blake likes to use two pumps. I will say this gives your face that 'squeaky clean' feeling right after you rinse-which is not my favorite. But, that only seems to last a few seconds and then your face feels completely normal, albeit clean. Castile soap is so versatile! I use it in some of my DIY cleaners, but I had no idea you could use it for beauty products too. It's made from vegetables, so it's natural, and it's concentrated, so a little goes a longggg way! So, really this is a great money saving DIY too. Face washes can be pretty pricey. Leave a comment below if you love DIY's! I'd love to hear if you and your husband use separate bath and body products or have you found some that you both like?! Tell me what you use castile soap for! Sometime around 10th grade, I became a vegetarian. My High School self had no knowledge of healthy diets, and my daily routine went something like: skip breakfast, come home from school starved, make a plate of nachos and eat them while watching Fox Family, and then eat the dinner that my mom made. She is an awesome cook, and always made a huge salad for dinner. So I'd fill up on salad and whatever side she made that night. Meat has never been the highlight of the meal for me, but I can trace back my disdain for pork to Biology class when we had to dissect a fetal pig. I can still smell the formaldehyde. After seeing that little piglet's ribs, I swore off meat. I guess my early-aughts self got distracted by my Motorola Razr or distressed flare jeans, because it didn't last all that long. Somewhere along the way I went back to eating meat. Just chicken at first, but eventually all kinds of meat. After discovering I was hypoglycemic last summer, I began doing a lot of research on nutrition. It's all very fascinating and sometimes over my head. For awhile I was just storing these facts and not doing anything with them. Kind of like when you know that you need to eat well and exercise to lose weight, but you never do it. Well then I watched What the Health on Netflix one recent morning when I was battling a cold. I had nothing else to do and my Netflix cue was looking pretty sparse. I started watching it, and even though it is very convincing, by the time it was done I hadn't actually decided not to eat meat anymore. Interestingly though, I haven't eaten meat since, and I don't have the desire to. 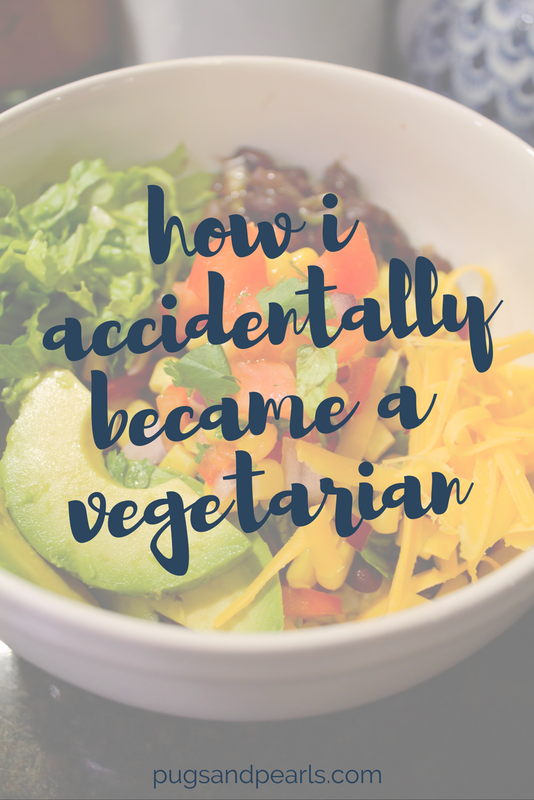 So, I guess I accidentally became a vegetarian! One thing I really appreciated about this particular documentary was that it didn't try to guilt you into not eating animal products. Usually things like that flood your eyes with visuals of mistreated and neglected animals-something I can't physically stomach. Instead, it focused on the science. What happens when your body digests meat and dairy is simply fascinating! I found it completely dumbfounding that processed meat is listed amongst tobacco, plutonium and asbestos as a carcinogen by the World Health Organization. What?! I mean, why isn't this common knowledge? Like I said, I haven't eaten meat since I watched the movie, and that has honestly been a piece of cake. (part of the reason I'm calling it an accident!) I've done it almost without thinking about it! Every restaurant seems to have some kind of vegetarian option, and we've made some excellent dinners at home. Blake has been so pleasant about this too. He didn't watch the documentary with me, but he wasn't resistant at all when I suggested trying out vegetarianism. So far he is pretty sure he couldn't ever be vegan. But, the fact that he is open to it at all is amazing to me. I can't tell you how many vegetarian dinners I've made in the past when he said it would taste better with chicken! Can I also talk about how many emotional responses I've gotten when I've mentioned the word vegan in the last few weeks? I had NO idea people felt so passionately about meat. Interestingly, if you say 'plant based' you don't get the same response-even though it means the same thing. I think it's because the word vegan is associated with really preachy/extreme people. But, if you just say you are trying to eat more plants, nobody can get mad. And that's what I'm trying to do - eat more plants! If nothing else, I have been ultra conscience about what I've been eating in the last few weeks. We've definitely amped up the veggies at dinner time, and you can't exactly go get fast-food when you don't eat meat. - We were going to take some friends out for dinner, but we decided to cook instead. They loved it and asked for my falafel recipe. We ended up playing Yahtzee and having much more fun that going out to a restaurant. - We have been cooking at home more often, in general. - When eating out we've noticed our bill is slightly cheaper. - My grocery bill was about $40 cheaper, and that was with adding extra produce. - Will this become a problem when our friends invite us over for dinner? - What if Blake doesn't want to be a vegetarian in the long run, will that complicate things when meal planning? - How will this affect our family vacation in August when we all take turns cooking dinner? - Am I okay with seafood? The decision about what to do when someone else has prepared the meal for me is weighing the most on me. The idea of refusing someone's hospitality feels rude! Although, one podcast I listened to about plant based diets said that the 80/20 rule is always a good one to follow, which I feel like may be how I approach a situation like that. I don't know yet, I guess I will wait until it comes up to decide! I absolutely loved getting an Ipsy bag each month, but pretty soon I found myself drowning in samples. It introduced me to quite a few products, but I decided to pause my subscription. I did however sign up for the Walmart Beauty box instead. It's sent out by season, so winter, spring, summer and fall. Each box is free, but you pay $5 for shipping. Unlike Ipsy, the products in these boxes are very easy to use up quickly. I almost always get shampoo samples, which are great for your travel bag. They often send you 'trendy' products too. For example, in last season's box I got a sample of micellar water, which I had been wanting to try. My summer beauty box contained: ecotools Mask Remover Sponges, imPress press on nails, simple cleansing facial wipes, Wally's Organic BodyOil, Pantene Shampoo, Pantene Conditioner, Aveeno daily moisturizing lotion, got2b styling spiking glue, and a few coupons. The only thing I know I won't use is the hair gel, but I'll give that to my husband. I'm very excited about the sponges and the press on nails. I haven't done press on nails since middle school, but these are precious! This may be my best money saving tip! Blake and I both have Dollar Shave Club razors, and with our subscription we get a new cartridge of blades every month. We share a cartridge and are able to each get 2 new blades per month. Women's razors stink, and razor blades in general are very expensive! We get the 'executive' razor blades for $9 per month. We are saving about $25 this way! They also have really nice shaving creams and hair products that can be shipped in your box. I've gotten a few Stitch Fixes and Blake just got his first one this month! In a nutshell Stitch Fix is a subscription styling service. You fill out an online profile and a stylist hand picks 5 items for you to try on. If you love them, you keep them, and if you don't like then send them back or exchange for a different size. The first 2 fixes I got were pretty good, but my 3rd one was my style to a T! Be very specific about the colors you like and give as much information to your stylist as possible. The more I tweaked my profile, the better it got. 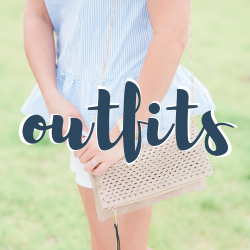 They also check out your Pinterest boards to get an idea of what you like, which I think is so neat...and an excuse to pin more cute outfits. I know that I haven't used this subscription service to the full yet, but I am loving it so far. Basically, you subscribe to certain products, and they ship them to you based on your preferred schedule. So you can get some things monthly, or even every 6 months if that's how often you need it. But, if you subscribe to 5 products at a time, you get a discount. 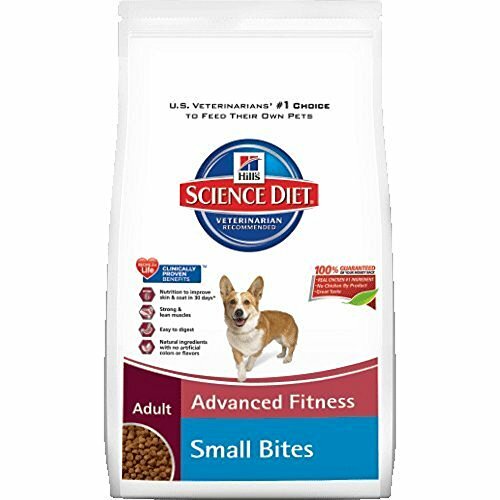 With 3 dogs we go through a lot of dog food, so we get a 17.5 pound bag each month. I can't tell you how convenient this is! Since we live in a small town, we can only get this dog food at our vet's office. And to carry a giant bag of dog food out to the car and back home again is such a pain. We've got this subscription synced perfectly. I swear everytime I scoop out the last of the kibble from our big rubbermaid we receive this package on our doorstep the same day. As 'professional' hand washers, we go through some dish soap! Mrs. Meyers is great, and I love this soap. The subscription is a pack of 3, so we get this about every 3 months. I think I may up that to every 2 months, because it looks like we are already running low. I did use quite a bit of extra soap when I was making my homemade cleaners, so I'm not sure if that had something to do with it. Super boring, but necessary. We get this 24 pack about every 2 months, but I think I need to adjust this one too, up to 3 months. Still experimenting with the timing! 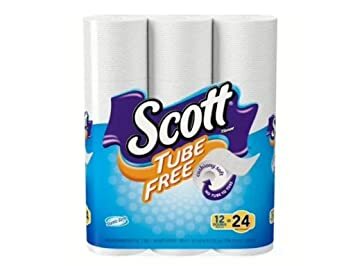 I really like the tube free rolls also. Love this stuff! This laundry detergent is free and clear and extra effective. You only need 4 pumps per average load. 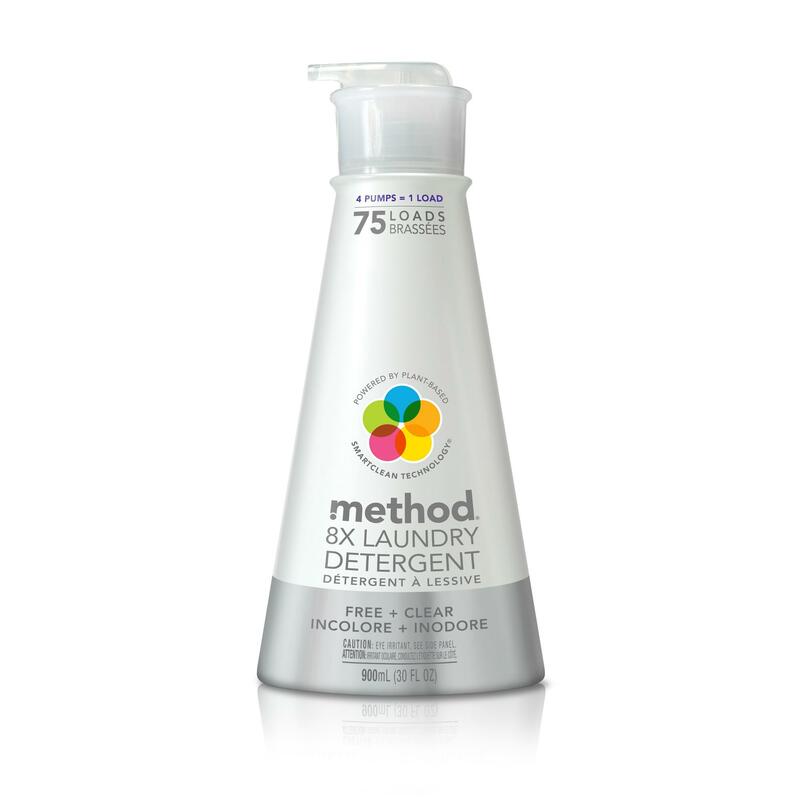 Method is one of my favorite brands. Your clothes end up smelling really fresh and clean. And the stain fighting power of this is excellent! I splashed homemade spaghetti sauce on my white and blue striped tank top and I swear you can't even tell. Grove Collaborative - Get $10 when you use my link to sign up! This is my newest subscription, so I don't have a firm opinion just yet. Basically, Grove has a ton of natural products that you can subscribe to. I signed up because they were offering a bunch of free products to new members, as well as a trial of their VIP program. I make a lot of my own cleaners, but there are still things I like to use that are from manufacturers. You can alter your shipments and easily edit what you want and what you don't. One thing I like is that they send you several reminders about your next shipment so you can change it in plenty of time and there are no unwanted surprises. Their customer service is excellent. My first shipment was delayed for some reason, and to make it up to me they gave me more free stuff. Can't complain about that! If the Grove subscription works out, I may unsubscribe from Amazon my dish soap and laundry soap subscriptions. I'm not sure which is better yet! Small town life does have it's perks, but I do miss the variety of things available in a bigger city. It's not easy for us to make a Target run, since the nearest one is 45 minutes away! I'm so thankful for online shopping, for this reason. Having my favorite brands delivered to me is such a time saver! And it's also really great to 'treat-yo-self' once in awhile with subscription boxes too. 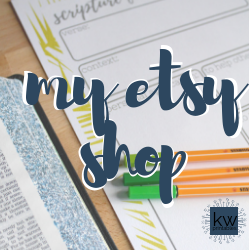 Leave a comment below if you are also a big online shopper and subscriber! I'd love to hear what your family gets in the mail each month. I know a lot of people get more than one beauty box each month, so I'm wondering what you do with all of those samples! Referral and Affiliate links used at not cost to you! I Talked My Husband Into Trying Stitch Fix! Did you know that Stitch Fix now has a service to style men? I think that this is a brilliant idea. Most guys hate shopping and let their wives pick out their clothes anyway. My mom actually signed my dad up to get a Stitch Fix last month, and I was incredibly curious to see what it was like. I've gotten 3 fixes, and have really enjoyed it-especially now that they offer size exchanges. So when I found my dad was expecting a box in the mail, I really wanted to see how they did. They nailed it. He loved every single item! So I casually mentioned it to Blake, to see if he'd be interested in trying it out. I wasn't sure if he'd go for it, since he is very particular about his clothes. (I definitely don't do a lot of picking out for him, because it's futile) But he was actually agreeable, and even let me take pictures of the items he tried on. This is what happens when you are married to a blogger! Also, I misplaced the card with the names of the clothes...so you'll have to excuse my descriptions. Blake's stylist was named Vanessa and she did an awesome job. When you sign up you have the opportunity to describe your style and ask for certain pieces that your wardrobe is missing. He told them he wore primarily business casual clothing, and requested that the items be Florida heat friendly. And that's exactly what was sent! I knew he'd love this belt as soon as we opened up the box! He didn't already own a belt this particular shade of brown, so it was a keeper right away. Really nice quality too. Keep! The chinos were also great. He wears a pair of these just about everyday, so we were glad to see a pair in the box. And, again, he doesn't already own a pair this color. He loved these, but they were a tad long. 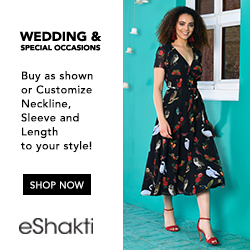 You can exchange for a different size, but when we went online to do that you can't adjust length size....and when we calculated how much it would be to hem them at a tailor, it didn't seem worth it for the price. So they went back. Return! Polos are also something Blake wears almost everyday to work. This one was a really nice, soft material and we thought the white piping was a cool touch. He loved this one. Keep! This was a great shirt, and it fit really well. He almost kept it, but then we both remembered how much we loathe ironing linen. It's impossible! This was the best this shirt was ever going to look, but the idea was right on track. Return! This stylist totally nailed Blake's style. So much so that she sent this shirt-one that he had an exact duplicate of already! The fit was perfect and it was a great choice. The only reason he didn't keep it was because he already had one so hilariously similar. Return! All in all this was a great experience for him! It was an exciting package to get, open and try on. He was super happy with the choices, and he already scheduled his next box. (spoiled much?!) I'm looking forward to seeing how the stylist responds to his feedback and what he ends up with next. Guys can be so hard to buy gifts for, so I think this is a great idea of something special for them! 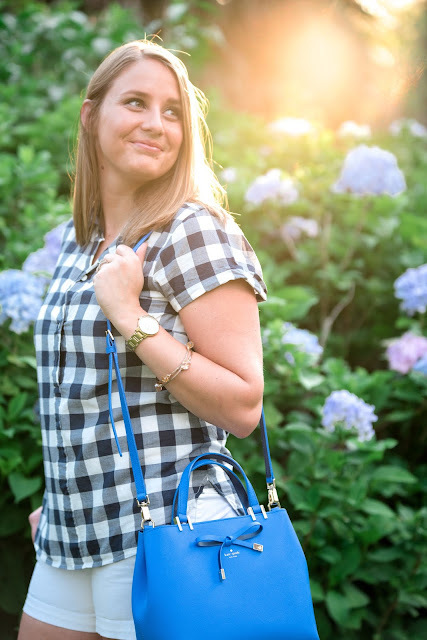 Leave a comment below if you think your husband would let you sign him up for Stitch Fix! Do you pick out his clothes for him, or is he more like Blake in that area? 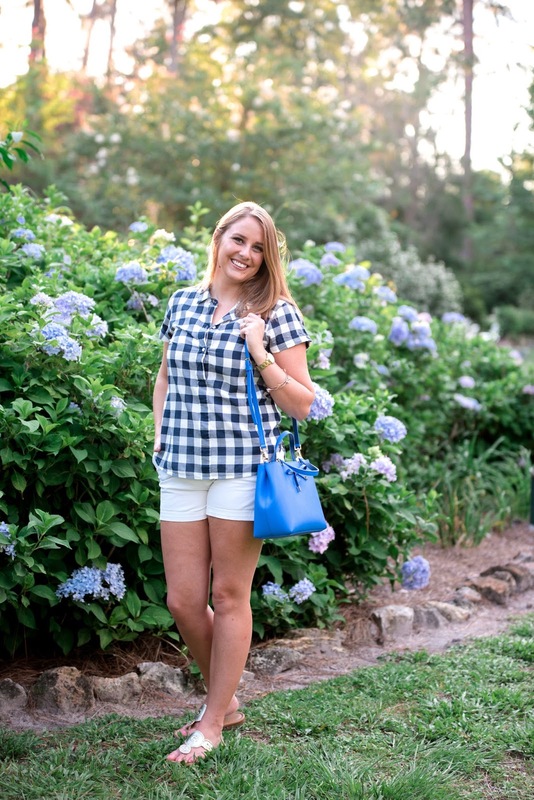 Have you tried Stitch Fix yourself? 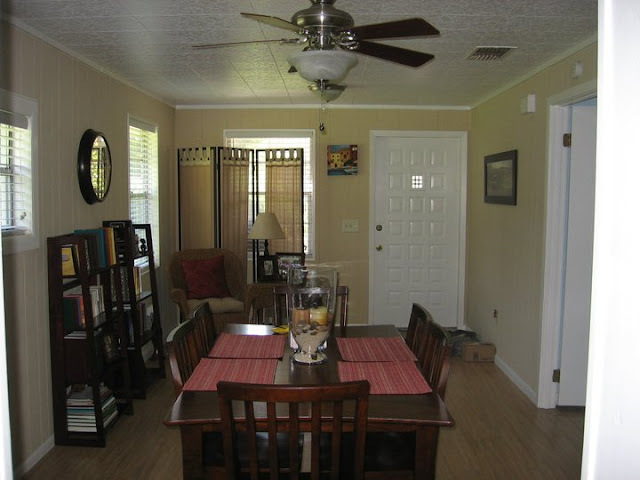 Our dining room is ridiculously huge! Proportionally, I think it's the same size as our living room, but for a room that you don't use a ton, it seems kinda wasted. 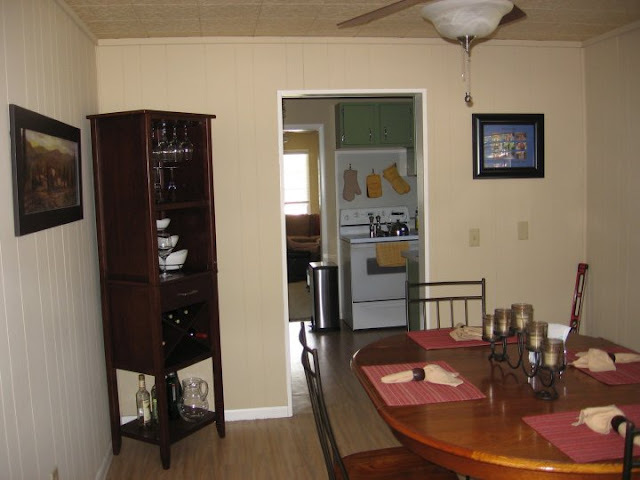 Ultimately I'd love to combine the kitchen and dining room and spread it out a little. But, for now this is what we've got! When I look back on the pictures from when I first moved in, I have to smile. I can feel the same feelings I felt when I set up that homey little room. I was so proud! I try not to focus on all the red and brown and all the things that needed painting! I got to it eventually. You'll see two stages: One with the most uncomfortable table known to man, and the second when we bought our current dining set. Why didn't I turn on any lights when I took those pictures? Geeze. I can tell I had no idea what to do with all the extra space. We never sat in that little sitting area. It started being more efficient when Blake built the armoire in the back. This house has zero utility closet space, so we needed something to store things like the ironing board and vacuum. That project took him basically a year to finish, working on it here and there. It's such a gorgeous piece of furniture, it seems funny to be hiding such ugly things inside! The shelves are also long gone. When I purged my book collection, we no longer needed the set of shelves. Instead, I have an antique dresser I repainted with my friend in that spot. It is my version of a bar cart. The drawers are really hard to open, so I only have a few things stored in there. Doggy stuff is by the back door. Not the prettiest thing, but they love their bed and it fits pretty well there. To be honest, there really isn't another place in the house for it. I love finding Winston in the kennel, just napping by himself. It's so cute! Adding chair cushions and a new rug this year gave this room a whole new life to me! We linger so much longer at the table, now that it's more comfortable to sit at. We try to eat dinner at the table every night, just like when I grew up. I love that it stimulates conversation between us and keeps our evenings from being sucked into the tv right away. The only thing I'd like to add to this room are curtains. I think it would up the homey factor a little bit. I'm a little stuck though, because the one window is short and wide, and I'm not sure if regular length curtains would look funny there. I hate the short and stubby curtains! 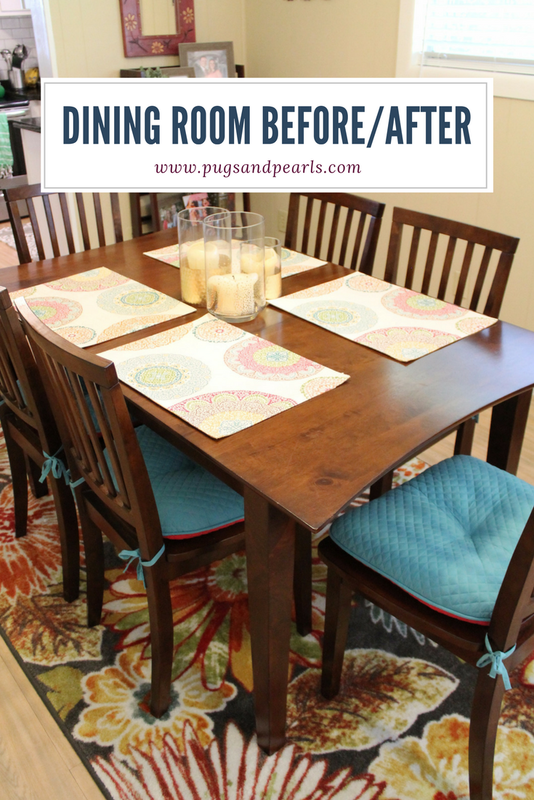 Leave a comment below if you use your dining room! I'd love to know if you guys eat in front of the tv or if you like to sit at the table! 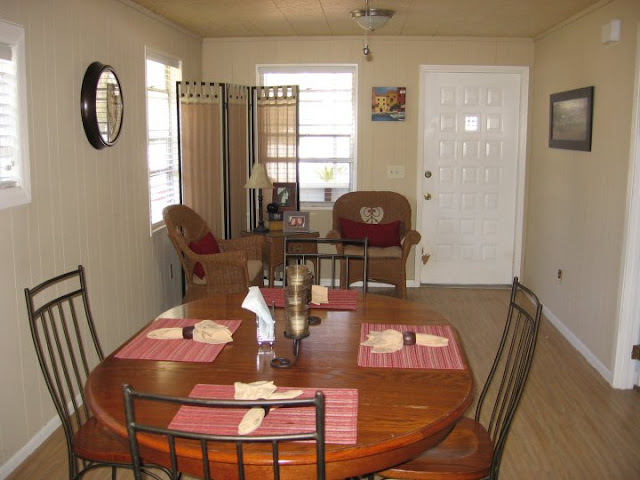 Have you ever had to DIY a piece of furniture to fit your needs? Where do you keep your doggy stuff? 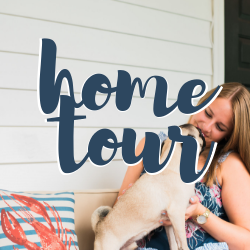 You can find previous stops on our home tour here! I Bought Myself A Present! 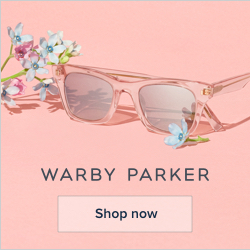 I absolutely have to unsubscribe from the Kate Spade email newsletter! Every time they announce a surprise sale I feel compelled to check it out and see what they have discounted. Big mistake! Every single time I end up convincing myself to buy something! Kate Spade calls this color Adventure Blue. I LOVE it. 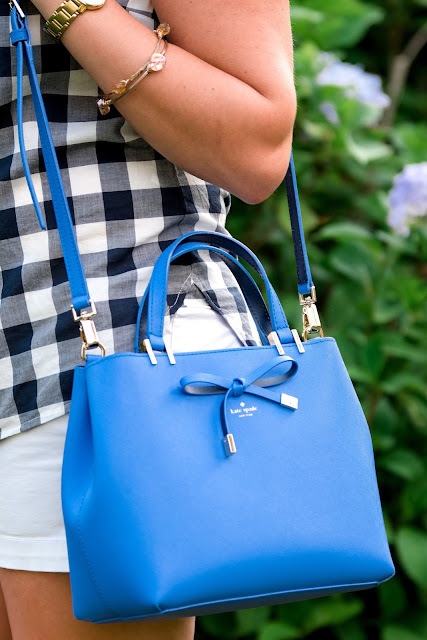 It's got spring and summer written all over it, and it's a great way to add a pop of color to any outfit. The sweet bow on the front adds a little special something too. I also finally grabbed this top from J Crew Factory, as soon as it was restocked in my size. Looks like it's sold out again, in everything but xxsmall. It's easy to see why it's been selling out though. 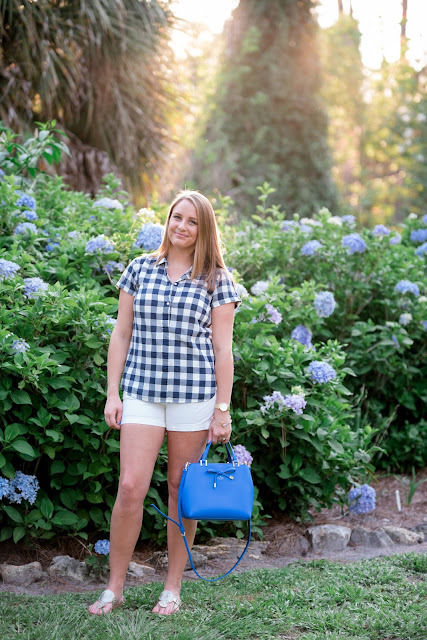 I love an easy summer top that I can just throw on over shorts in this Florida heat. 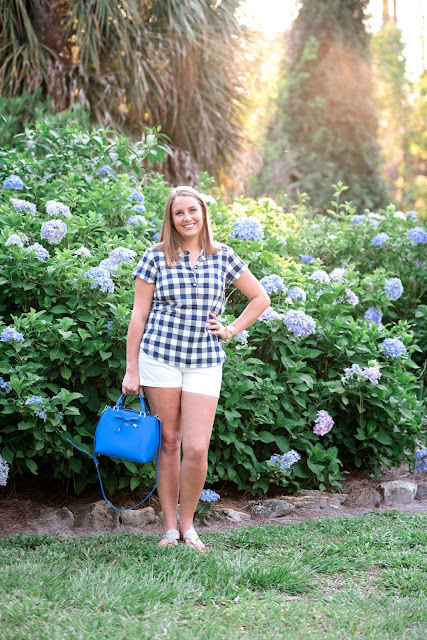 Leave a comment below if you're just as excited as I am about hydrangea season! Have you bought yourself a present recently? Are you good about unsubscribing from tempting emails?! Some affiliate links used, at no cost to you.